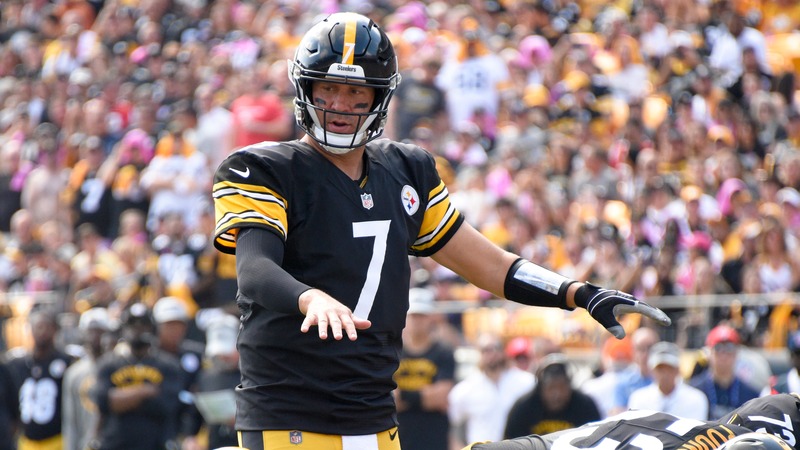 Fifteen seasons into their lofty NFL careers, Ben Roethlisberger and Philip Rivers square off with interesting Sunday Night Football prop bets available. In a matchup of Class of 2004 mainstays, Ben Roethlisberger and the 7-3-1 Pittsburgh Steelers host Philip Rivers and the 8-3 Los Angeles Chargers in a prime-time Sunday Night Football showdown. Here are five prop bets to consider for Sunday's matchup. ## Sunday Night Football prop bets *Odds courtesy of Westgate LV SuperBook ### Philip Rivers passing yards: 295.5 Rivers has two 400-yard games this season, and two other 300-yard games, but with Melvin Gordon and Austin Ekeler making moves in the ground game and the defense taking strides this year, he hasn't been relied upon to uncork it quite as often in years past. He comes into the game hot, though, coming off a 401-yard game in Week 11 and a 28-of-29 performance in Week 12. ### Philip Rivers passing touchdowns: 2 (OVER -130, UNDER +110) Rivers has at least two touchdowns in every game this season, so you've got to feel good about this one. He's had three scores four times, including last Sunday against the Cardinals, who have a decent pass defense. With Gordon nursing a knee injury, Rivers will certainly see more looks in the red zone. ### Ben Roethlisberger pass completions: 26.5 While Rivers hasn't had to let it fly, Roethlisberger sure hasn't been shy this season, even in big wins. Roethlisberger has seven 300-yard games this year, and he's topped 450 twice. While his interception numbers have ballooned - including five the last two weeks - so has his yardage. He's coming off a 462-yard game against Denver, albeit in a 24-17 loss. He has topped 27 completions seven times this year, including three of the last four games. ### Ben Roethlisberger passing touchdowns: 2 (OVER -140, UNDER +120) Even with arguably the best tandem of wide receivers in the game, Roethlisberger has not been a guarantee this year. Yes, Big Ben has struck for three touchdowns four times, including one five-score game. He also has three other two-touchdown games. On the flip side, he's also got four one-touchdown games. ### Antonio Brown receiving yards: 89.5 No longer the yardage monster we're used to, Brown has been a fantasy beast but has somewhat quietly only piled up three 100-yard games this year, with a season high of 117 yards. With a second fiddle in Juju Smith-Schuster who plays more like a lead guitarist, Brown's days of being biggest, baddest, best wideout on the block may be over. Can he beat 90 yards today? Considering he's only done that five times this year, after hitting the century mark nine times last year.